Security testing has become an absolutely critical part of an organization’s development strategy. This is due to the increase in the number of privacy breaches that organizations are facing today. 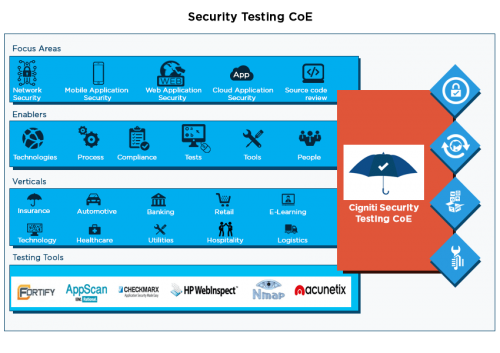 In order to be able to effectively address our client’s security testing needs, Cigniti adopts the latest industry standards and testing methodologies. Cigniti has a dedicated Security Testing Center of Excellence (TCoE) that has developed methodologies, processes, templates, checklists, and guidelines for web applications, software products, networks, and cloud. Cigniti offers end-to-end security testing services including Network Penetration Testing, SCADA Network Vulnerability Assessment and Penetration Testing, Web Application Penetration Testing, Wireless Network Assessment and Penetration Testing. This practice consists of over 100 security testing professionals who hold certifications such as Certified Ethical Hacker (CEH) and Certified Security Analyst (CSA). This team continuously researches the new threats/vulnerabilities being reported along with new tools/techniques to identify these issues. As a part of this effort, the team has conducted proactive vulnerability assessments for sites like Amazon and PayPal. Cigniti’s security testing team has also been recognized by these organizations for the vulnerabilities reported. As a result of the research conducted by this team, the CoE has built up a repository of security test cases/checklists and developed capabilities using open source and proprietary security testing tools. 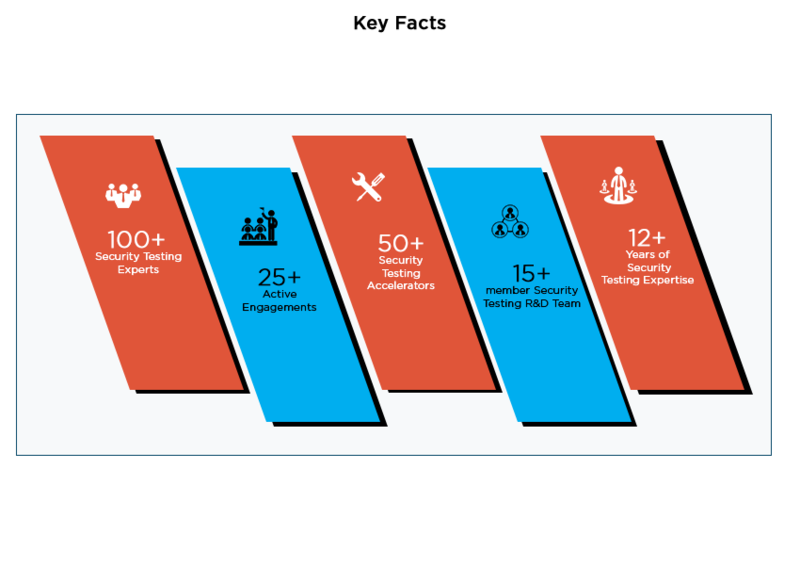 Cigniti’s Security TCoE consists of dedicated teams of security testing specialists with deep expertise spanning multiple domains/industries, cutting-edge technological resources/tools. Also, our ISO 27001 and ISO 9001 certified processes help ensure we deliver world class security testing services for our clients to help them stay compliant with the rigors of compliance driven businesses. Cigniti’s Security testing services address mission-critical security challenges faced by enterprises. 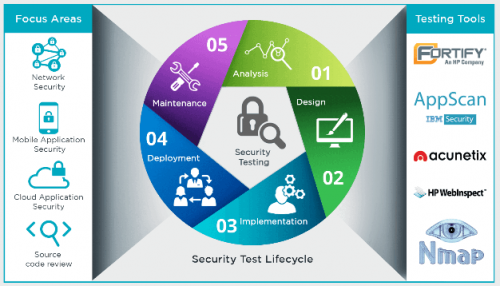 With key focus on areas such as Network security, Mobile application security, Cloud application security, and Source code review, our 5 step security test lifecycle makes your applications secure. To know more about the specific nature of the security testing services we provide, browse the categories below. Over the last few years, Cigniti has built up a repository of security test cases and developed capabilities using both open source and proprietary security testing tools. Security Testing Techniques: Cigniti implements best-of-breed techniques to check for SQL injection, Cross Site Scripting, Cross Site Request Forgery (CSRF) (includes the Top Ten OWASP) and zero-day vulnerabilities along with vulnerabilities discovered by our R&D team through CoE. Cigniti’s methodology consists of test techniques that are manually executed, for example, domain/business logic driven tests which are then translated into manually crafted payload to assess the vulnerabilities and showcase steps that can exploit any weakness in the Information/Network system. Testlets for various types of Security Testing: Cigniti has collated Test-lets based on various security test types that are employed for Security testing. The tests include testing for vulnerabilities such as SQL Injection, Cross-Site Scripting, Broken Authentication and Session Management, Unsecure Direct Object Reference, Cross-Site Request Forgery, Security Misconfiguration, Unsecure Cryptographic Usage, Failure to Restrict URL Access, Insufficient Transport Layer Protection, and Invalidated Redirects and Forwards. 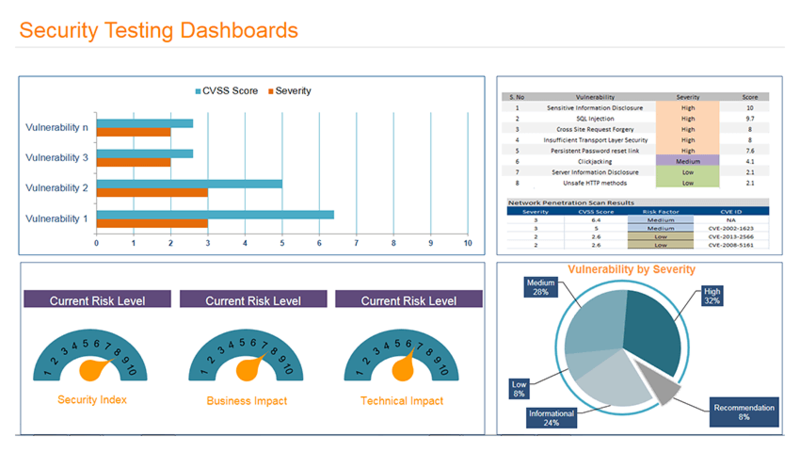 Cigniti’s Security Testing Dashboard consists of a comprehensive report outlining the vulnerabilities discovered during the cycle along with additional information such as screenshots and reproduction steps to facilitate ease of understanding. The vulnerabilities detected are scored with respect to industry standard CVSS 3.0 framework. This comprehensive report will contain an executive summary report for top management and technical committee to showcase the security posture of application along with the detailed vulnerability report which includes vulnerability details and possible recommendations aimed towards mitigation. Security Assessment report of application is divided into different sections to facilitate easy readability. Reports begin with an Executive tear-off to facilitate easy reference of assessment findings to executive management and have an executive summary providing a summarized view of the overall security posture of the application assessed. Customers can figure out overall security posture based on the test results. This section also lists count of vulnerabilities by their score and severity. Security of applications is critical to any business enterprise. Cigniti’s unique Managed Security Testing Services model combines the deep understanding of industry best practices and decade long expertise in software testing services delivery. Cigniti ensures your applications are secure, scalable, and agile. Every software update/release throws open areas of vulnerability. We assist businesses ensure that vulnerabilities are identified and fixed, much before clients of our businesses get to experience the update. We have worked with leading large and small businesses and enterprises and helped them build a safe and secure software for their users. A few of them are listed below.